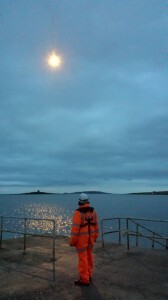 Shortly after 21:00 this evening, the Skerries Coast Guard team were tasked to investigate a flare report off the coast of Rush, approximately 4 miles south of Skerries. A flight crew member of a passing passenger jet reported seeing one yellow flare off the Rush coast. The Skerries team carried out a shoreline search of the area with nothing further to report. No further flares were observed or reported. No further action was required and the Skerries team returned to base. 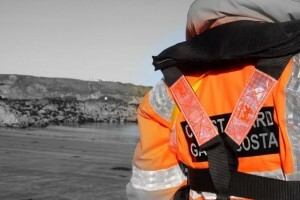 Remember – if you spot someone in difficulty on the coast, dial 999 or 112 and ask for the COAST GUARD. Do not assume that someone else will make that call. This entry was posted in Callouts and tagged Callouts, distress flares, Irish Coast Guard, Lambay Island, Rush, search, skerries coast guard by Skerries Coast Guard. Bookmark the permalink.